Sulfate and Detergent-Free! Dye and Perfume-Free, Great for Sensitive Skin! This spa-quality, all-natural, facial clay bar is packed with high-quality ingredients each geared towards moisturizing the delicate skin on the face. It is made with goat milk, clays, and refined skin oils such as avocado, rice bran, and grape seed oil. 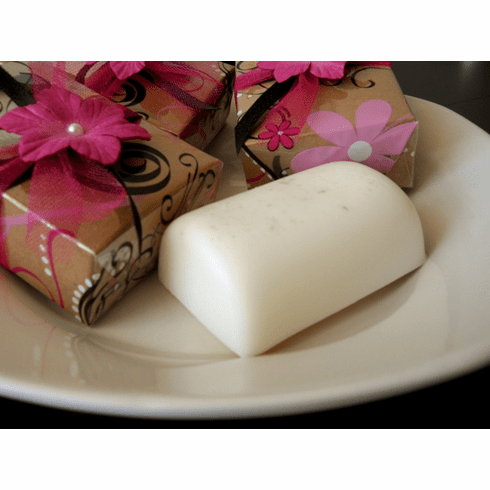 Lastly, this soap contains honey which is a gentle antiseptic and helps to balance stressed skin. This facial bar is recommended for individuals with normal to dry skin. Weighs 4 ounces! It comes uniquely packaged in a sturdy kraft box, printed cello, and bow and paper flower. Great as a gift!